NIS America Press Event 2017 Announced: Live Stream & Press Release – 3WIREL! 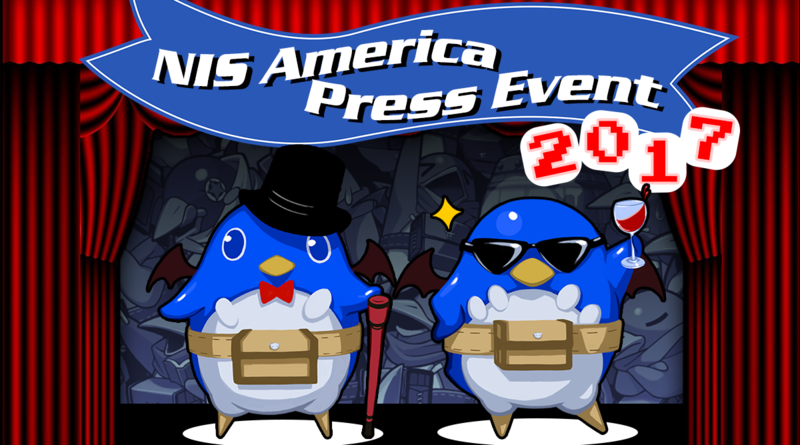 NIS America has big plans for 2017 and they are holding a special press event to show off upcoming releases. Full press release can be found below but we will be reporting on this as information comes out. NIS America is happy to announce that—for the first time ever—we’ll be streaming our press event on Twitch live from San Francisco! This year’s press event is shaping up to be a doozy with special guests SUDA51 and Kazutaka Kodaka, five new games to announce and maybe even release dates for our first game on Switch and a game featuring an adorable black and white bear…!